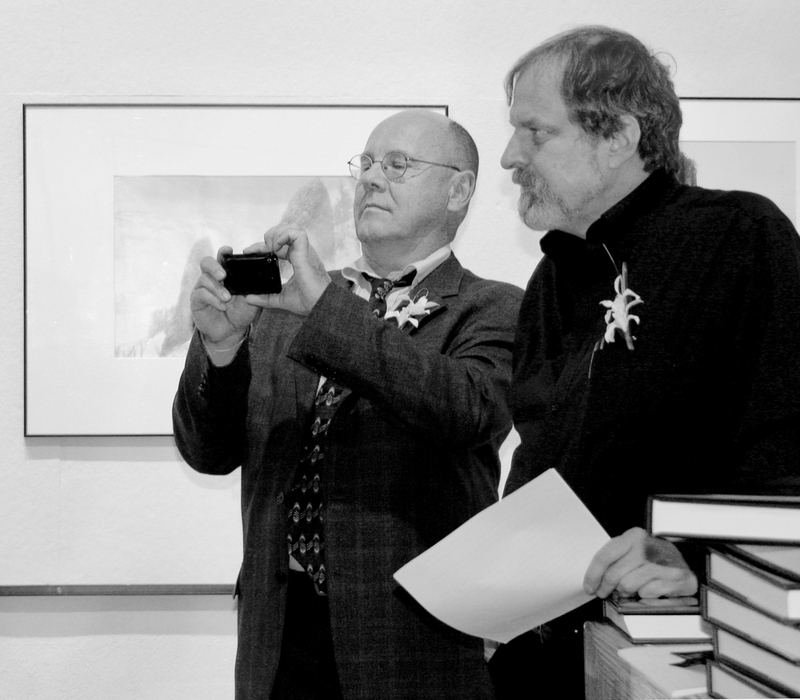 In 2002, Terry Toedtemeier and John Laursen founded the Northwest Photography Archive as a way to document the stunning photographic heritage of this region. Wild Beauty is the first in a series of books that they conceived of at the outset of their work together. In December 2008, just three months after the publication of Wild Beauty, Toedtemeier died following a slide lecture that the two gave about the book to an audience in Hood River. The Northwest Photography Archive continues to honor the commitment to the historical photography of the Pacific Northwest that Toedtemeier and Laursen envisioned when they founded the Archive. Terry and John at the publication party for Wild Beauty.